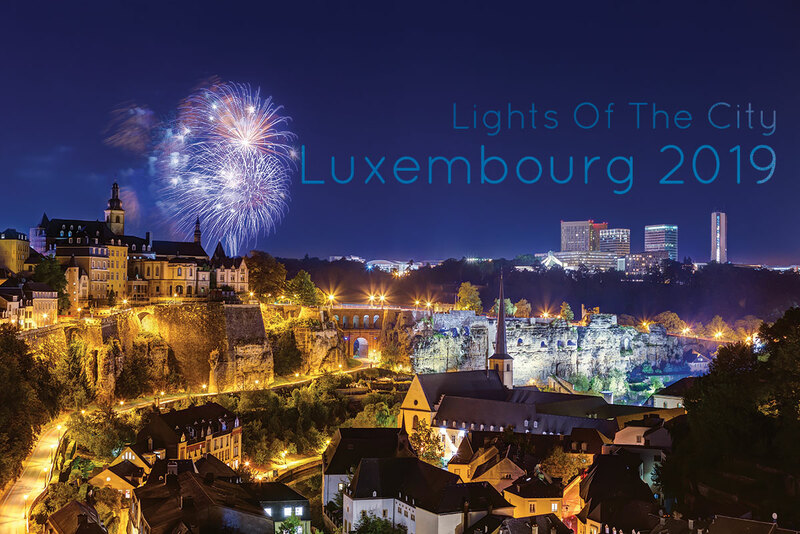 The Lights of the City 2019 Luxembourg Calendar is a celebration of the peaceful but vibrant nights in Luxembourg Ville. I really love shooting night photography, so I thought I should mark this down. It’s a wall calendar, in A3 size (30×40 cm), and it’s not only beautiful, but also useful: it has a planner layout, so you can write down next to each day if there’s something important you should remember. 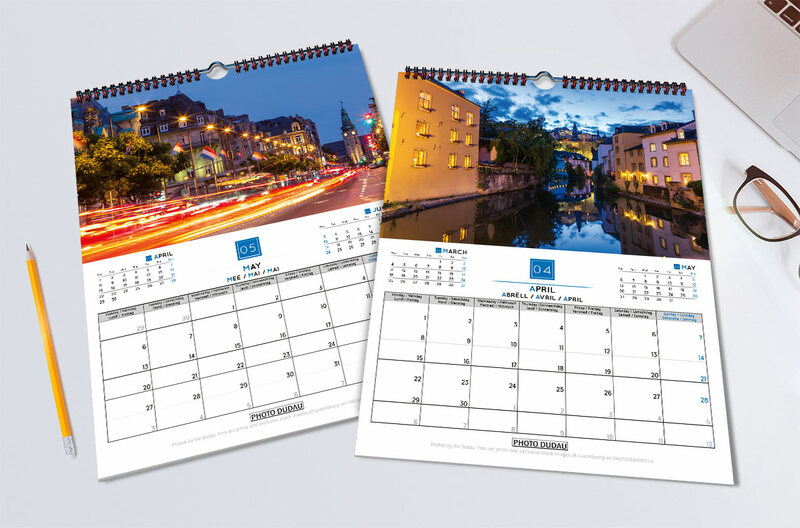 The names of the months and days are also written in English, Luxembourgish, French and German, so it would make a perfect gift for everyone speaking any of these 4 languages. 12 pages, one for each month + cover. This wall calendar can also be personalized with your logo and contact details for large orders of over 50 pieces (just make sure you contact me before ordering if you want it personalized). Don’t forget to check out the other calendars as well! 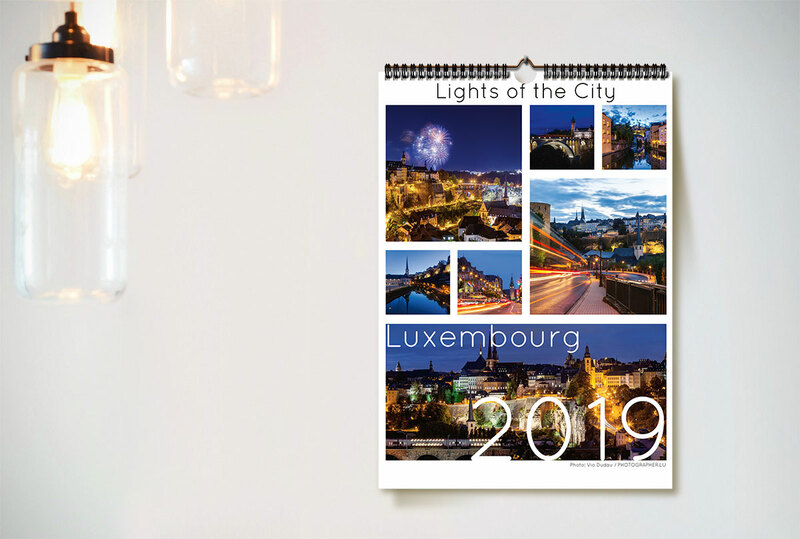 The calendar, with the same photos, is also available in desk format (A5 – 15×21 cm) only for large orders here: Lights of the City 2019 Calendar desk version.